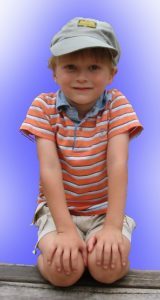 Finlaver-water system is a safe and easy way to warm water in a summer house. 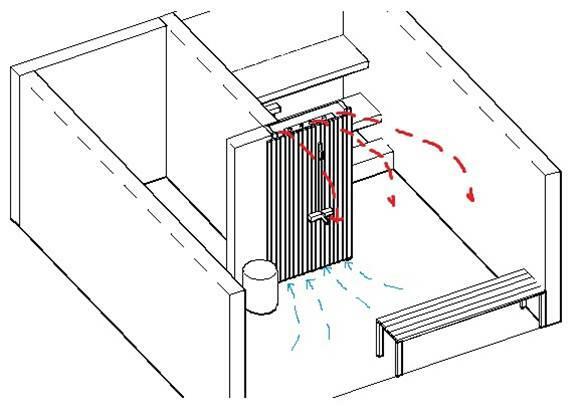 Finlaver-water system is based on Finlaver-accumulator, which is installed inside the wall. Finlaver-accumulator is a revolutionary version of traditional way of heating water in Sauna. It saves room and is a clever and safe way to store boiling hot water. 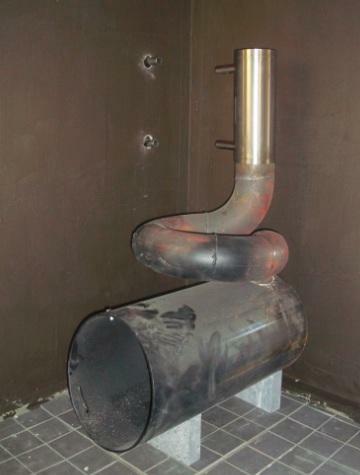 Finlaver-accumulator is warmed by the heat exchanger of sauna stove. If there is no pressurized water in use, you can use solar power for example 12V DC to generate pressure. Maximum pressure of Finlaver-accumulator is 100°C because of the natural boiling point of water in normal pressure. It will cool down and restrict the wall temperature near by the sauna stove. 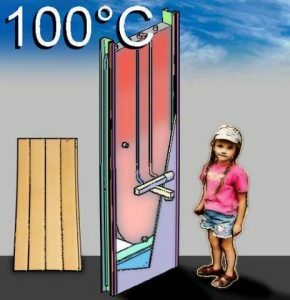 Flashing point of wood is approximately 270°C. Enjoy the luxury of shower in a summerhouse with no electricity! 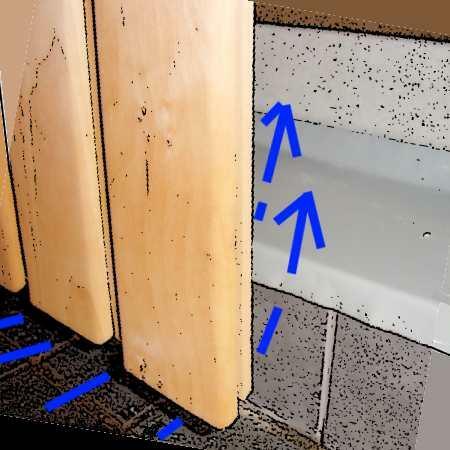 By storing the hot water inside the wall, you will improve the safety of people in sauna at least in two ways. 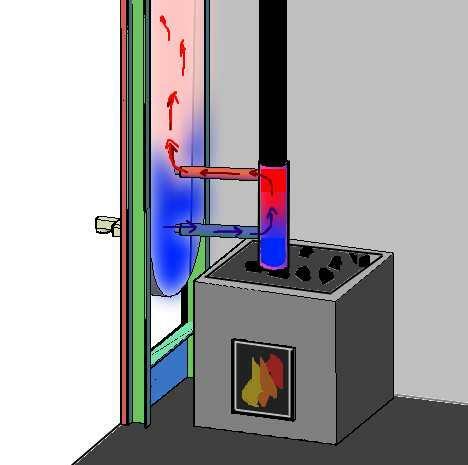 Hot water is inside the wall, and you don´t have to do dangerous tricks to mix the hot and cold water. Boiling water is cold inside the wall. By this I mean that it is restricting the temperature of the wall to 100 Celsius degrees. The flashing point of wood is approx 270C. The water inside the Finlaver-accumulator is unpressurized. In Finland the maximum size of summer house is restricted by the lake. When there is a lack of space, Finlaver-accumulator is the right way to deal the matter. You will save as well as space but the building costs too. There is no need for the other chimney and the hot boiling pot and its danger area is vanished. Air is circulated in the washing room because of the heat of the Finlaver-accumulator. Cold air is heated and it will raise up beside the Finlaver-accumulator. The out put is near by the ceiling and as a result there is a nice soft warming blowing which will continue until the next day. This will dry to washing room. There is an example of a hollow wall structure in the pictures, where Finlaver-accumulator is installed. The heart of the sauna stove is a model of Iki Original plus. Finlaver-accumulator is heated by the water heat exchanger and the infrared radiation from the sauna stove. The water is inside the Finlaver-accumulator is available both direct or indirect way. 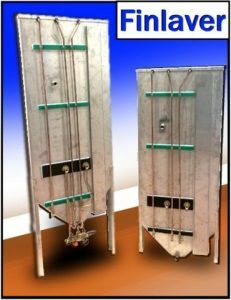 Indirect way (showering) is the way of getting warm water from a tank internal heat exchanger. 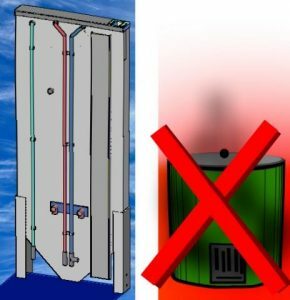 While you are showering the water is pumped to the internal heat exchanger and it will get warm because the boiling water inside the Finlaver-accumulator. The water in the accumulator tank remains same through the summer. Shower gets its water from the pressurized water system of the summer house. If there is no water system at your summer house, you can use solar power to generate 12V DC current and use a pump to generate the pressure. 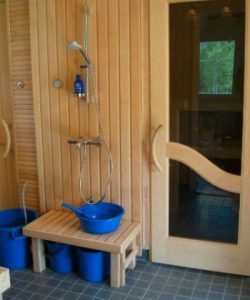 In Finland, when the water is carried into a sauna, the waste water solution can be lighter. In the simpliest way waste water solution is a pit full of stones where the waste water is conducted. You can use a 12V DC water pump (familiar in boats). The water is pumped from the pail which is in the washing room. Instead of mixing water in bowls you will save water while showering. It is ecologically friendly. If you have a pressurized water system in your summer house, it is very easy to enjoy Finlaver-water system. It will need electricity at all!